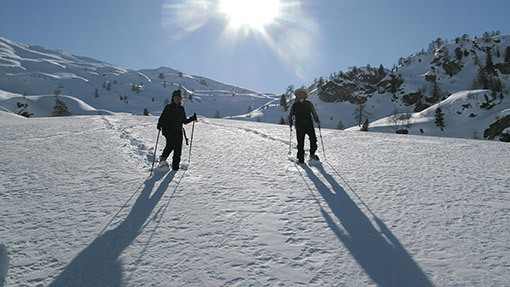 Beautiful activity to discover the mountain in winter. Guided by one of our guides you can enjoy the peace of our lateral valleys, the beauty of woods and of picturesque Monte Rosa villages. Groups can be up to 15 components. This does not include lift tickets, lunch, transfers, and other unspecified.